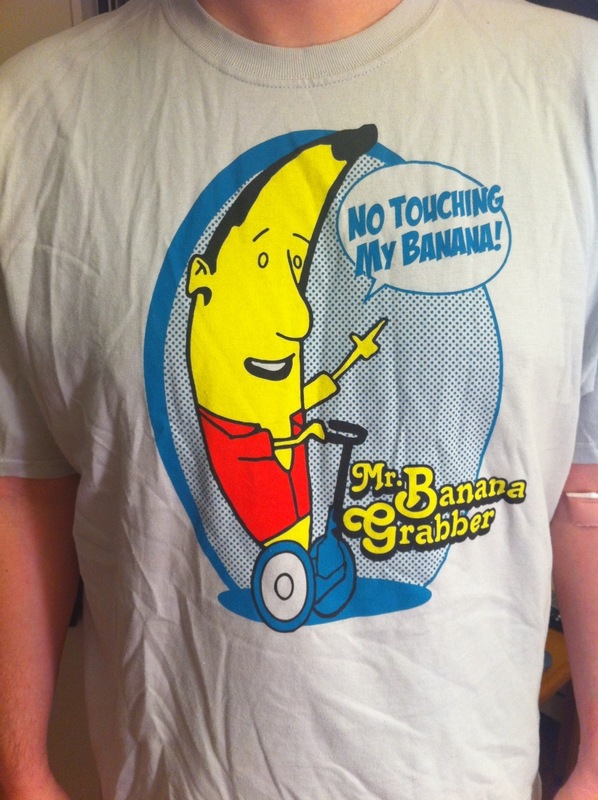 I was going to blog about the Israel-Palestinian conflict today, but instead I thought I’d make you jealous with my cool Mr. Banana Grabber t-shirt, given to me by my sister for Christmas. Not only do I get to show off my love for the long-dormant TV show “Arrested Development,” but I get to do it with an achingly obscure sub-reference. Meanwhile, in Israel, Palestinian negotiators were embarrassed by a series of leaks to television station Al Jazeera suggesting they have all along been making huge concessions to Israel, including the right of the Jewish state to annex parts of contested East Jerusalem. Protests have erupted among the Palestinians accusing the papers of being lies and propaganda, and now both sides in the conflict, to prove themselves sufficiently strong, will likely have to backtrack and return to anachronistic negotiating strategies and arguments. So I hope I’ve kept you up to date on all this fun / patently horrible news.